Although many corporations can appreciate the dynamic nature of their social media governance plan, some organizations are unsure of how to “work their plan” in a manner that is structured and strategic. This is where KPIs or key performance indicators come into play. 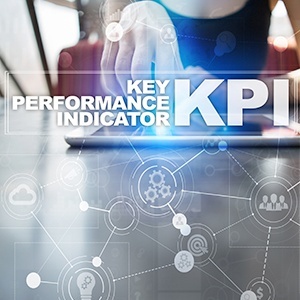 KPIs are realistic and relevant success targets that enable an organization to evaluate the performance and functionality of each segment of the social media governance plan, such as training, compliance, risk process, and so on. While each organization must craft and refine projected results that are specific to their needs. If you have read our Social Media Governance Plan E-book, then you understand the importance of stakeholders and your governance team; ensure that all stakeholders understand the KPIs and have opportunity to contribute. This will help with expectations about the actual performance when you are reviewing metrics. Here are some examples of social media KPIs associated with social media governance. To make these examples more realistic we will use real numbers instead of “X%” and “#X” and set the time frame for a 6-month review period. Response to risk events: speed to detect improved 25%. Speed to resolve improved 75%. Total number of risk events decreased by 50%. Global web audit completed for social accounts representing corporate brands or associating with them. Speed of audit increased 50%; cost of audit increased 10%. Stale Corporate accounts found = 120. Shut down 50%. Goal to shutdown remaining in next 2 months. Counterfeit accounts found = 37. Cease and Desist letters and shut-down via social network 100%. Facebook generated Place pages found = 182. Merged Place pages into corporate account 80%. Credentials for global social media accounts stored in centralized password vault = 70%. Employee compliance on corporate-owned social accounts increased 75%. Percent of employees who have undergone enhanced social media training for Employee Ambassador program increased to 70%. Employee compliance on employee-owned social accounts increased 80%. Centralized Global inventory of social accounts is completed as of July 1, 2018 (for first 1/2 of calendar year) and 100% of global team members are trained on new account approval before creation. Again, these are just examples of KPIs — each organization will have its own customized suite. The takeaway is that KPIs exist to help organizations ensure that their social media governance plan is working as they need and expect it to, and that there is clear action being taken to reduce risks to the corporation. KPIs should have timelines associated with them and they should be monitored over time to compare results. It is also important to update KPIs to make them more realistic, or explore what needs to change in the environment (e.g. resources, policies, etc.) to earn a check mark for the next review cycle (e.g. number of counterfeit accounts found after the last audit and recognition of average counterfeit account creation). Before wrapping up, we previously noted the importance of KPIs being “relevant” and that’s because what one stakeholder group deems relevant may not be viewed as relevant to another. With levels of importance and urgency varying across stakeholder groups, it’s important to have dialogue and get everyone on the same page on what will be tracked and which KPIs matter to individual groups. For example, executives may want the top-line view of performance and risk mitigation, where others will need specific details so they can ensure performance improves in their department.